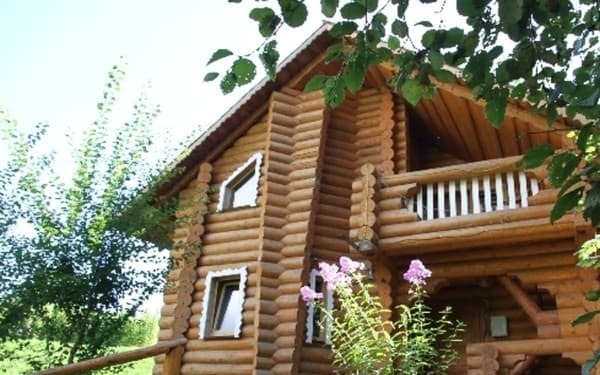 Private estate "Bilya rychki" is located in Pilipca on the river bank, 2 km from the village center and 3 km from the nearest ski lift. 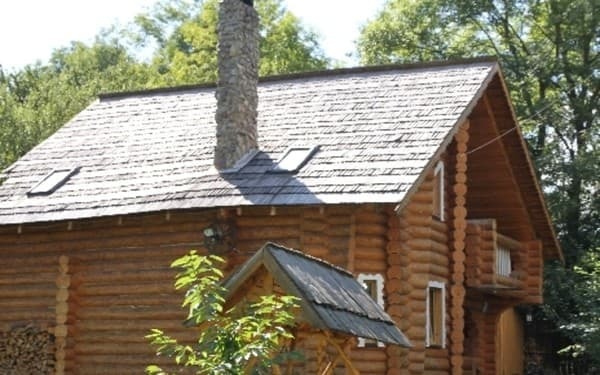 The cottage is a two-storey house from a log house, on the ground floor of which there is a living room with a fireplace, a kitchen (refrigerator, electric stove, microwave, electric kettle, crockery, washing machine) and a wood-heated sauna with a contrasting pool. 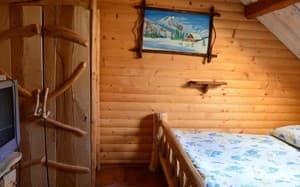 On the second floor of the cottage "Bilya rychki" there is a separate entrance, there is a double room of the "Luxury" category and three-room apartments, which can accommodate from 6 to 8 people. The rooms are equipped with double or single beds, a wardrobe, an individual bathroom. 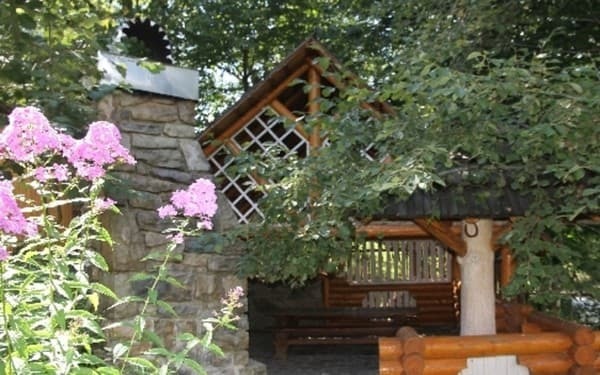 On the territory of the cottage there is a gazebo, BBQ, swings, parking for cars, Wi-Fi access. The nearest café is at a distance of 100 meters from the cottage, the store is 50 meters away. 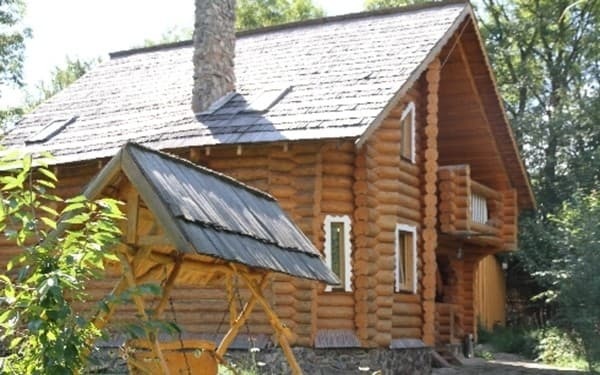 Distance to Ivano-Frankivsk - 148 km, to the ski resort "Pilipets" - 3 km. Description of the room: Three-room suite with two bedrooms, a living room and a bathroom. In one bedroom there is a double bed and a folding chair, in the other there are four single beds, in the living room there is a sofa. In the apartments on the folding couch and sofa it is possible to accommodate 2-3 more people for an additional payment. It is possible to book rooms in the apartments separately. Description of the room: Two-storey cottage is designed for 8-11 people. 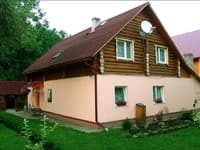 The cottage on the second floor has 3 bedrooms with double and single beds, and a living room with a sofa. 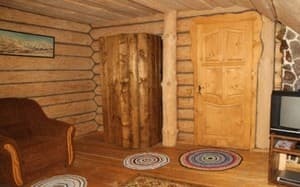 On the first floor there is a kitchen, a living room with a fireplace, a toilet, a sauna. The residents have access to an equipped kitchen for self-cooking. 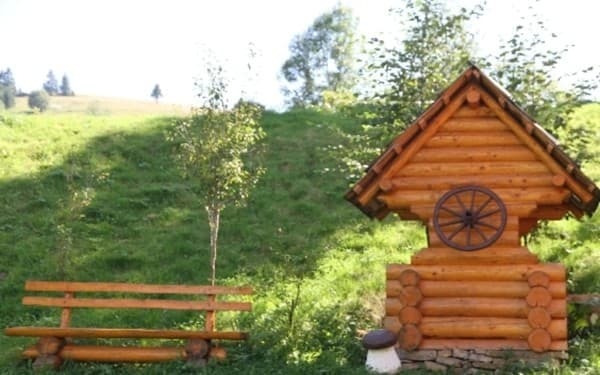 The farmstead "Bilya rychki" is located in the village of Pilipets. The distance to Ivano-Frankivsk is 148 km, to the ski resort of Pilipets - 3 km. By train in Uzhgorod direction or by the Lvov-Mukacheve electric train to Volovets station, then by bus or taxi to the village of Pilipets. Own car on the highway Kiev-Lviv-Chop (M-06).